What is the best and fastest way to easily open your third eye? You’re about to find out. We live in a world where without intuition we would be pretty much be without a sense of purpose. The third eye serves our intuition. We’ve received dozens of emails asking a simple question: What is the quickest way to open the third eye? One answer is visualization. Visualization greatly facilitates the whole process. It usually takes no more than 15 minutes of visualizing to activate your psychic senses if you’re in an overall good mood. A highly recommended alternative is the 7 Minute Mindfulness method. This guides you through the process of quickly activating your natural Relaxation Response, releasing stress, and connecting with your intuition. CLICK HERE to learn more. A Third eye opening visualization you can try. Here we’ll use the energy of the heart. The heart is the center of your gut feeling, intuition. And it’s closely connected to your guidance, to the spiritual gifts clairvoyance & clairsentience. For the goal of your visualization, we will also use a structure in your brain called the pineal gland. The pineal gland is an alias of the third eye. It’s your inner eye, the eye that sees everything. 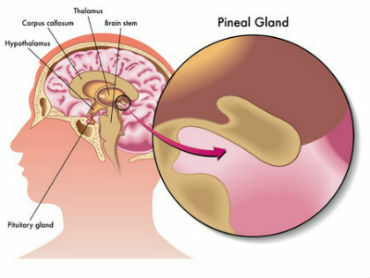 The pineal gland is responsible for many processes in your body that guarantee your well-being. How to Perform the Quick Visualization to Activate Your Third Eye? First, get in a comfortable position. Keep your feet on the ground and take a few breaths and relax. You can begin by placing your attention on the pineal gland. Imagine it as a tiny pinecone (see picture below). Even better – imagine it as a full-size eye inside your head. Imagine there is a door that’s in the center of your chest which opens up for a bright, beautiful, divine light. The light enters through the heart chakra and travels up your spine where it meets with the pineal gland, your inner eye. And from there, your inner eye directs that light through your forehead out in the universe. Let the eternal light become external. Don’t force it as you don’t want to ruin your efforts. Do this pattern a couple of times. Feel that sensation of life traveling through the sectors of your body. You should stop when your body signs it has enough. How to Keep Your Third Eye Open? If you wish to keep your third eye open, make these inner practices part of your routine. You need to practice every day. If you put your whole heart into it, the effect will be much greater. The heart helps you to heal and care for yourself. And when you see the world through your inner vision and activate your heart energy, you perceive the world through a whole new lens. Everything is interconnected – knowing that it’s a really blissful way of living. Keep your third eye open as much as possible, engage your heart chakra. Connect your heart with your mind. That’s the best & safest way to easily open your third eye in 15 minutes. We hope this post will be helpful to many of you seeking to broaden your horizons. If you have any questions, we would be happy to answer them. Our aim is to help you understand your intuitive gifts and use them in your daily life. Because once you seize your innate power life starts to flow in a direction more in tune with your desires. Tell us in what way this information helped you, and if there’s anything else you’d like to know about. Recommended Resource: Want to connect with your inner self, release stress, sleep better, and unleash your creativity?… Click here to learn how to quickly activate your body’s natural relaxation response. I have a question: it probably sounds stupid but when you open your third eye do you get a real eye on your forehead which people can see? I’m really confused about it. Yes, when you open your third eye you get a real eye on your forehead but not in the realm you mean. In the spiritual realm, your third eye is on your forehead and is open and if people have opened theirs they can see it. The whole thing seems pretty strange to me. I don’t even know how to meditate. how do I meditate? should I begin to imagine image or what? Meditation is about making the mind follow your breathing. It has a calming effect upon a person and allows him to use his imagination to a higher potential. We all meditate. Whether unconsciously or consciously we are in a meditative state most of our time. Visualizing images will increase the manifestation of your desired reality. There is clairaudience which is clear hearing, clairsentience which is clear feeling and claircogniance which is clear knowing. Psychics are not always clairvoyant and see things visually. They may just have a feeling or hear the spirits. So yes, there is a way without visions. What if you can read emotions, characters, auras and experience a high understanding of religion. I can see what people think about me, the way they talk and communicate reveals all their thinking of who I am and what I’m supposed to be. it’s often very weird cause it sometimes feels like paranoia, I think my third eye is not open but I experience clairvoyance and see the motives of others malevolent ways. I’m not hallucinating or seeing demons or Jinns and my intuition is never wrong. Is my 3rd eye open or not? What if you sense other people’s emotions, hear what they’re saying without using ears, know how they would react to a situation and know why they do things the way they do. anonymouslyyours: You’re probably an Empath. I am one too. Experiencing the same things. Yes, your third eye is open. All the symptoms you listed are a sign your third eye is opened and your pineal gland is working perfectly (it isn’t stuffed by junk, fluoride etc). You’ve to learn how to control this ability and not hurt other with your words or actions just because you know things about them. Sometimes, it’s best to keep to ourselves the things we know. I have the exact same experiences as you have, except for the fact I don’t see people’s auras. I thought I was an empath but then I realised that I can see the emotions of others but I can only sympathize for them and not truly feel what they are feeling. Is this still an empath trait? Quick question, will opening my third eye affect the people around me? It will affect the people around you as long as you allow it. It’s up to you with what intent you use your spiritual gifts. One time, me and my boyfriend were trippin’ when he looked at me, he said he saw a third eye on my forehead… The other day I had a dream in which I was awakening my third eye, I felt the energy in my forehead and it hurt pretty bad, and then I closed it. I opened it once more and closed it again and each time I felt extreme pain in the center of my head. I felt uncomfortable when it was open and felt the need to deactivate it in my dream. In the dream, my third eye outline was orange and was surrounded by black entirely. I’ve trouble making these things out, is my third eye open? I feel like I’m picking up on entities around me I feel their presence. I’ve always been psychic but this is freaking me out. Thank you for your comment… From what you’re saying, I believe you’ve opened your third eye. The pain you’ve felt on your forehead is a sure sign of that. But sensing weird entities around you isn’t good. Try to ground yourself by doing what you love. Also, you can close your third eye by setting and intention and using visualization. Simply imagine how it closes and everything is reverting to how it was before. When I do mediate, I keep the mind blank and after sometimes later, I feel I’m out of world reaching to see the beautiful solar planets. And sometimes, I want to touch the Sun without burning myself. I feel the Sun is gateway to heaven. I can sit on Earth simply admiring the solar planets. Is this a dream or my third eye is opening as I cannot see my third eye on the forehead? Or is there another reason why I get this beautiful dream through meditation? What you felt is completely normal. You’ve let yourself to be guided by your mind. If you haven’t set an intent to awaken your third eye, you shouldn’t worry about that. You won’t see an eye forming on your forehead… It’s inside your head.. It’s thoughts and intuition… Nothing physically grows on you when you open your 3rd eye. We need to prepare before opening the third eye to avoid the risks…But how do I prepare?…Are there things to consider as preparation before awekening my third eye? It’s essential to be in the right energy vibration before you do it. You can read this post, where we mention the things you need to do and keep in mind to avoid the possible dangers. We’ll soon write a special detailed post about that, so stay tuned! How do you know that your third eye is open after doing this? I felt a strange sensation on my forehead. Feeling some kind of a sensation on your forehead is a symptom that you’ve attempted to open your third eye. If you see the future or events that are about to happen and always correctly guess the outcome of an event, is my third eye acting as a precursor or it’s something else? 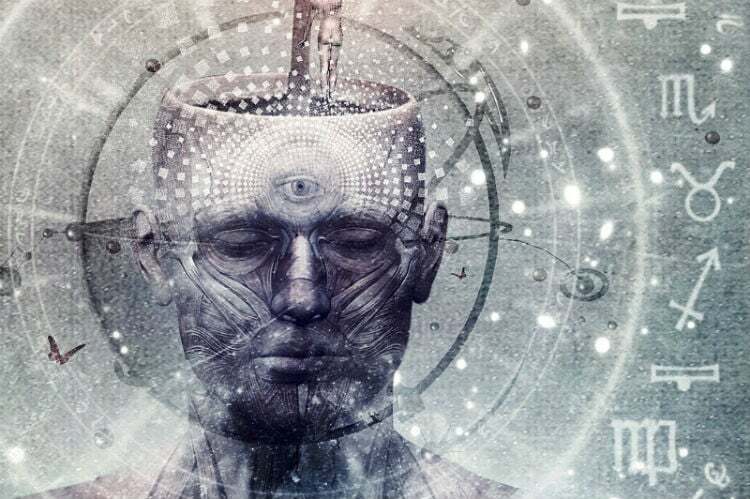 One of the functions of the third eye is unlocking a number of psychic abilities depending on your spiritual growth, in your case that is being able to see the future. When I was in sixth grade I was fascinated by spell casting and wished to cast. During my research I came to know that spell casting needs your third eye to be opened. Before opening I researched everything but I only saw the good stuff. Then I tried opening mine. Initially, I experienced a headache and my forehead hurt but after some days everything was okay. However, I saw that negative energies can harm you if you are not protected. And I wasn’t protected at all. I was not even ready for all the experiences that were about to come. I have a phobia of darkness and after I did it, I was very scared for no reason. Now it feels like there is some energy with me which is sometimes bad and sometimes good. Sometimes when I get scared because of some entity, it comes in my mind that it can’t do anything but I feel that I need protection because it’s too strong. I was also getting scared when there’s a full moon. Now it’s alright and I can easily enjoy watching full moon but currently I feel there’s energy around me, that is following me always. Sometimes I feel like something is going to happen to me but after a while the memory fades away but then it actually happens to me and it feels like I’ve already experienced this thing. I feel like something wants to communicate with me but I get scared and cant proceed… All the things I’m going through are very scary and frightening. Please help me. Thank you. I’m sorry to hear about your negative experience. I think you should ground yourself because when you’ve done it you weren’t prepared for it. So, take your time and find activities that promote your well-being and help you recover from those lower states of consciousness. It will take some time but you’ll make it. I’ll soon write an article on how to prepare oneself before opening the third eye and let you know when it comes out! You should know that it’s not always a lower God (or entities) that are trying to communicate with you. It’s possible that a God is trying to guide you. I’m not talking about jesus here. I’m talking about real Gods that were once human. My grandmother possesses this talent from her past reincarnations and now she’s able to communicate with one and help people. However, there is also a chance that it’s not a God. Anyway, just watch out and be careful and don’t make unnecessary deals or contracts because it can give u bad karma while your good karma decrease. i just thought of a question angeline, is their a way to break the cycle of the reincarnation, is my third eye supposed to be opened too or is sit just something that i have free will to choose into, just wondering. When i meditate for several minutes I see a kind of semi-transparent floater that looks like a wheel or circle with a symmetrical flower in the middle. It is more clear and defined depending on the intensity of my focus while meditating and lingers for several minutes after the meditation. What is this? I have a question: when your third eye is open can we do things or move things with our mind or have a stronger sense of telekinesis and have a power of basically being a witch of doing spells seeing spirits or moving human or saving humans like do we have powers instead just reading and seeing into other people minds and feeling what they feel? I am thinking about opening my third eye, but, is it super safe? I am that little child (13 years old) who is paranoid, a lot, does that affect your third eye or the opening of it? 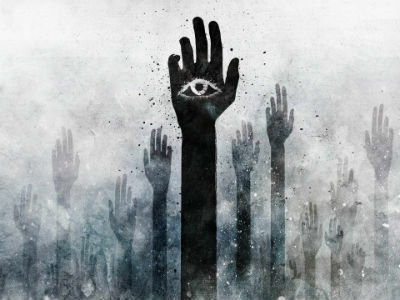 I feel like hands are going to take me and if I am in a unlightened room at night when it’s about the devil’s time, it feels like someone is behind me or under furniture, there is someone and are planning to take a grip on my foot or something. So all I’m asking is that being super paranoid, will it affect my opening of the third eye? And I’ve seen videos (I have not watched them, I am too scared) where people open their third eye at 3:00 and it always goes wrong, so I typed in ‘reasons to not open your third eye at 3:00’ and came to your blog (or is it vlog?) but got no answers, and then my friend started to chat with me and I told her that I might open it, but since I cannot super-duper hard words such as ‘clairvoyance & clairsentience’ since I am a Swedish teenager who is about to start seventh grade. I am sorry if I caused you any trouble. And do I need to do something special after I opened it? Do I have to be on full rest, like I have slept through the whole night in the perfect amount of sleep? Or get away the scared feeling I have on me like my gut is trying to say ‘stop reading this you’re not ready’ but the problem is, it comes every time I watch some scary video, like voodoo or ghost stuff. Like if it is trying to make me scared. Now, I don’t say I don’t believe in this stuff because I really do but my big brothers say ghost don’t exist, and the third eye is just some dumb thing people made up so other don’t die because they don’t know their reason to live, and me being paranoid is just something that I just have, because I’m weird. So, should I trust my gut and wait until it thinks I’m ready, or just ignore it? Should I also tell my parents that I have opened my third eye if I do, or should I tell them right away that I want too? You made the right choice to consult first before opening it. And I’ve to tell you one thing: your concerns are justified. Opening the third eye is a shortcut to a whole new spiritual level and if you’re not prepared it can lead to a poor experience with terrible effects. So, listen to what your gut says and stay away from it unless you feel the moment has come. Stay grounded, fill yourself with positive emotions and experiences and never ignore what your gut says. Hope this clarifies your inquiries. Before going into visualizing things first ask your guides to help you protect and ground yourself. It’s very simple. Just ask them to surround you with light and visualize a protective shield around your body. Also remind the negative entities that only positive light and love are allowed to enter. The negative entities may try to enter but will dissapear. Just keep repeating that until those of light and love are all you see. and I want to know if I can open my 3rd eye before unblocking my other chakras? It’s first recommended to clean your chakras of any negative energy that might be obstructing them. Check out this tutorial. Hii. I have just started the above practice. And I wanna ask you that on the first day of practice after getting involved in meditation state I experienced a strong energy surrounding me. What does that mean?? Also on the third eye of practice after some time I was feeling like that I am slowly tilting left and right. I was feeling that’s energy between me which is making me to move. Can you please explain both conditions. 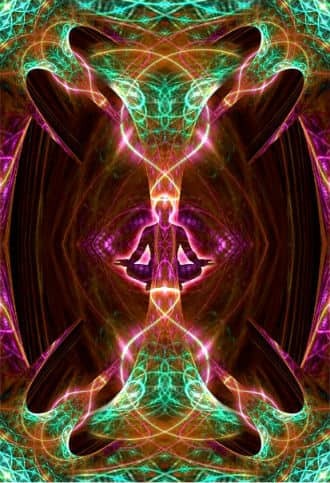 Feeling an energy surround you could be because of the fact that a being from the spiritual dimension has visited you. Was the energy uplifting or it was bringing you down? I’ve no experience with the tilting on the left and right. I must say I really love everything you have written so far on this page. It helped me understand even better what the spiritual worlds is like. Now I have a simple question: I have been able to feel the human aura for over a year now and sometimes I can move my friends or family members by touching their auras. I know I should not play with it as I can do more harm than good. I’ve read a lot about auras and their colours, but now I want to see the aura, and the qiestion is: if I successfully open my third eye, will I be able to see the human aura? Or is there way more to it than just opening your third eye? I have noticed that i can sense people’s emotions and their thoughts at some point. Sometimes I feel a strong powerful energy when talking to my best friends but this has been happening before i tried opening my Third eye. Is it a sign that it’s half open or open? Are there ways to open your third eye without the healthy eating strategy, for I am in a school situation where i have to stick to the food we receive. What can i do? I also appreciate this platform, would it be possible that i always come here for questions or is there any other way to communicate for help and guidance? Thanks to God for finding this place. My story is an over 20 yrs experience even though I’m currently 32. In those days, at times when I enter a place(i.e room etc) looking for something, the exact location of the object zoomed out. I just had to walk to that location and presto, it’s picked up. on it. Real Madrid zoomed out and low and behold they won. I have also been seeing lots of colored symbols( delta or triangle, straight lines, zig- zag lines, parallel lines in different colors but at times in the same color, a mark, x- cross, arrow, tongues of fire etc) during the day. Aside that, I have great dreams. I mean dreams that after waking up, I find them difficult to believe they are dreams. They are so real. Aside that, I have been seeing this yellow light that travels from one corner of my eye to another. I reported it plus that of those symbols to my dad who took me to an eye specialist but nothing came out of it. I have been a worried man over the last decade especially bcos a fuzz (I.e a tv without signal) appears and surrounds or envelopes me b4 disappearing in just under 1 minute. I feel a slight warmth when it envelopes. I get the feeling I’m not alone and something has been following me. Im scared. The frequency of its appearance has decreased from once a year to once every 2 to 3 weeks. The older I get , the more I see strange things. I don’t know what will appear to me in 20 yrs time. Pls mr. Georgi, any advice for me?